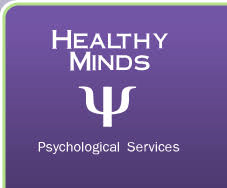 Healthy Minds provides counselling services for individuals (adults, adolescents and children), couples and families who experience an extensive array of psychological problems. The fully-qualified and experienced psychologists at Healthy Minds can help you develop the skills needed to manage life stressors and promote good health. Visit your doctor and ask your doctor to consider if you would benefit from a referral (ATAPS or Mental Health Care Plan) to see one of our psychologists. Call Healthy Minds on (03) 9330 0759 or click here to book online to make an appointment. Meet your psychologist and start your healing journey. Get up to 73% of your fee reimbursed by Medicare. (ATAPS and some other referral types such as victims of crime are fully covered).